A guest post from Brian Bruening, chair of the Clayton County Democrats in Northeast Iowa. I became the Chair of the Clayton County Democrats in April of 2017. Like many Democrats in my county, I was reeling from the election of Trump to the presidency and wanted to do something. My county, which had voted for Obama twice after handing him a huge majority of delegates on caucus night, had flipped around to support the anti-Obama. It was time to step up and try to help turn things around. My first major task as chair was the off-year caucus in early 2018. Planning it was stressful — finding caucus leaders, locations, making sure everyone got the proper paperwork — and more than once I had the sinking feeling that I had no idea what I was doing. But caucus night came, along with a blizzard, and turnout was paltry. But we persevered, elected delegates to the county convention and sent in the paperwork. Incidentally, we were forced to adjourn our county convention early because another freak snowstorm blew in that quickly created whiteout conditions. But the caucuses and conventions were done. 2007-2008 was my first real interaction with a political campaign. Obama had an outstanding crew of organizers in the county more than a year before the caucuses. He marshaled volunteers, got people out to the caucuses, and maintained a constant presence in the community. They also had a robust GOTV organization come November. They provided real leadership and people were willing to volunteer because they had a unified message and an actual game plan. Contrast this with the 2018 election. Campaign for Iowa (the Democratic coordinated operation) was the statewide organizing body. After several false starts, Clayton County finally assigned a field organizer, to be shared with other counties in our area. As a county party official, I was only tenuously aware of what was being done. Much of this was due to my own inexperience, but I didn’t know enough about how it should be going to ask appropriate questions. There was no unified Democratic organization, but rather separate campaigns doing their own canvassing and consequently calling the same people over and over, and knocking on the same doors, until everyone was exhausted and tired of being bothered. I heard stories about people getting calls from the Hubbell campaign, the Finkenauer campaign, and local candidates all on the same day! Working with the Campaign for Iowa was like shouting into the darkness. Was there anyone there to listen? We had to beg repeatedly and constantly for Hubbell signs, and even then we got maybe 30 for the whole county. We sent a constant stream of messages to the campaign that the only impression voters had of Hubbell was the Younker’s attack ads and that he and Rita Hart needed to visit as soon as possible. Months of sounding the alarm finally got a 30-minute stopover on his way to a neighboring county that we were only informed of several days in advance. There is no way that a candidate can convince undecided rural voters that they care about them if the people in their own party are unsure. From our vantage point, it seemed like Hubbell was pursuing the Hillary Clinton strategy in Iowa: do events along the Highway 80 corridor and hope TV and radio ads will drum up enough support in rural counties to carry the election. This 11-county strategy didn’t work for Clinton, and it certainly didn’t work for Hubbell. I’ve levied a lot of criticism against the Hubbell campaign because I think their strategy was a failure. Their lack of organization and inability to plan an event more than a day or two in advance hurt the whole party and was a drag on down-ballot candidates. As a county party, we spent more in this last election in radio, newspaper, and direct-door advertising than ever before. We contacted registered Democrats and No Party voters to encourage them to vote early, to let them know about changes in polling locations and to inform them about our candidates. We still lost all our races by a 2/3 margin. The Trump coalition of Republicans and ‘08 Obama voters showed up in record numbers for a midterm election and gave Republicans up and down the ticket commanding victories. A robust GOTV effort might not have closed the gap, but it wouldn’t have left Democrats in my county feeling so dispirited. The momentum and call-to-action from Trump’s election was squandered. So what can be done? First and foremost, the Iowa Democratic Party needs to figure out how to create a viable ground game in rural Iowa. Iowa is a rural state. We cannot hope to win if we only carry our few urban counties. This should have been obvious after Clinton’s dismal showing in 2016. Much of the nationwide energy of the Democratic Party in last week’s election came from young people, people of color, and college-educated suburban women. (The traditional sources of Democratic power—unions—have been so seriously weakened in Iowa as to be of minimal impact here.) All groups which are only just barely represented in Iowa. The vast majority of voters in Iowa are rural, lower-middle to middle class, and white. We need to speak to these voters and address their concerns. Democrats need to create a plan for rural Iowa. Clayton County is a very rural county. We are one of the larger counties area-wise, but only have about 18,000 residents. We have several small towns throughout the county, but no population center. With the exception of a small elementary parochial school, public schools are our only option for educating our kids. We are blessed with a lot of natural beauty here which drives our tourist industry, but we often have trouble finding qualified employees because most of our young people move away shortly after graduating high school. We have several small local hospitals but no place to deliver a baby in the county. We have experienced over 13 flood-related Presidential Disaster Declarations in the last 30 years. Most people love living here. There is a great quality of life. But people are worried about the future of their small town. They are nervous about the ongoing trade war with China and depressed agricultural commodity prices. They worry about the value of their homes and property they’ve spent their lives investing in. They want their local hospitals and schools to stay open. They want better maintained roads and bridges. They wish their kids had opportunities here so they wouldn’t move to Des Moines or another big city. They are worried about shrinking populations and getting older and not being able to retire. And they’ve seen over and over how their tax dollars go to Des Moines and never seem to make it back home. These are all real issues that the Democratic Party of Iowa can create a plan to solve. Maybe it means creating an Economic Development Fund for small rural towns that encourage young people to create businesses in their own towns. Or a comprehensive plan to help counties repair bridges and roads and install fiber optic cables. Or a national recruitment plan to encourage people to move to Iowa small towns. Big, bold ideas that show the Democratic Party actually cares about the future of rural Iowa. This seems like a worthwhile endeavor to spend some time and treasure on. Secondly, the party needs to train county parties on how to run their own Get Out The Vote campaigns. Having gone through an election cycle has shown me how unprepared I really was. The state party should create an education program for county leaders and activists. Most county parties meet monthly—why can’t the state party do an education workshop in every county over the course of a two year election cycle? Hiring a small team to travel the state to do these workshops seems like a good investment in the long term health of Democrats in Iowa. My final point, though by no means the end of the discussion, is that we need better avenues of communication from the state to local parties. Many of the active members of the Clayton County Democrats, including myself, have full-time jobs and many responsibilities. We aren’t free to pop down to Des Moines for a meeting, or take off an entire Saturday to spend in a District committee. I think we often miss out on being a part of the parties messaging and direction. But we are still committed to spending our free time helping the party. Better avenues of communication between the central committee and the various county parties across this large state are vital. One of the few bright spots I saw in this last election cycle was that almost no races were left uncontested by Democrats. People stood up around the state to run against incumbent Republicans at all levels of government. The Democratic Party needs to encourage and nurture this trend. Most importantly, the state party needs to train candidates on how to run successful campaigns including GOTV activities. We cannot win elections without putting ourselves forward, and creating a solid plan to get our voters to the polls. If we as Democrats are serious about winning elections again in Iowa, we need to start now in building a 2020 effort. We need to reach out to rural districts and build a network of volunteers willing to do the leg-work needed to flip their districts. We need to craft a message to rural voters—both farmers and those who live in small towns—that identifies their concerns and works to address them. We cannot install new campaign leadership six months before an election and think it will be enough to engage voters who feel like they’ve been ignored by the Democratic Party for years. The 2018 election isn’t a week old, and Caucus Fever had already begun. The Iowa Caucuses put a bright spotlight on the state as droves of reporters invade towns far and wide to try to determine who will win a contest over a year down the road. The state party will bask in the attention as being the First State to Decide. Lots of pressure will be coming down the line to county party chairs to undertake the heavy lift of a flawless caucuses (no more 2016 coin-flips, am I right?). Presidential hopefuls will try to engage a population exhausted by the Eternal Campaign that has become the reality of American politics. And not a thing will be done to bolster the party on the county level. I offer this modest proposal: Let’s kick the caucus can down the road and not pick it up until after Labor Day. Instead, let’s focus our attention on building our party in all parts of Iowa. Let’s come up with a coherent and comprehensive plan for rural Iowa. Let’s train our county parties how to run successful election turn-out campaigns. Sure, we’ll talk to the blizzard of candidates descending down on Iowa, but let’s not let them take all the oxygen in the room. Democrats can win in Iowa, but only if we are willing to work for it. We need to start today. My mom is from nearby Winneshiek Co… More specifically Castalia. The one thing that stood out to her is how when Obama ran, she got a postmarked absentee ballot request form pretty much right away each time. When Hillary ran, she got the absentee request form like a couple weeks after I told her to go to the SOS website to print one out. In this race, there was nothing and so she went to the SOS website again. My mom has been a loyal democrat for years. Maybe she is not the type to volunteer but, she also hates the idea of being the only blue in the sea of red too. I know that people say “Well if she hates it do something about it.” but, not everybody is cut out for politic-ing either. She works 2nd shift too. Mail is only the first step in making voters feel welcomed. Its about the ultimate GOTV mechanism that Obama used: timely absentee request forms. I honestly think that she might be more willing to do stuff if she didn’t feel ignored. Even in a town of 180 people, there may be a democrat or 2 that just needs an opportunity and a push. Excellent analysis and insight. 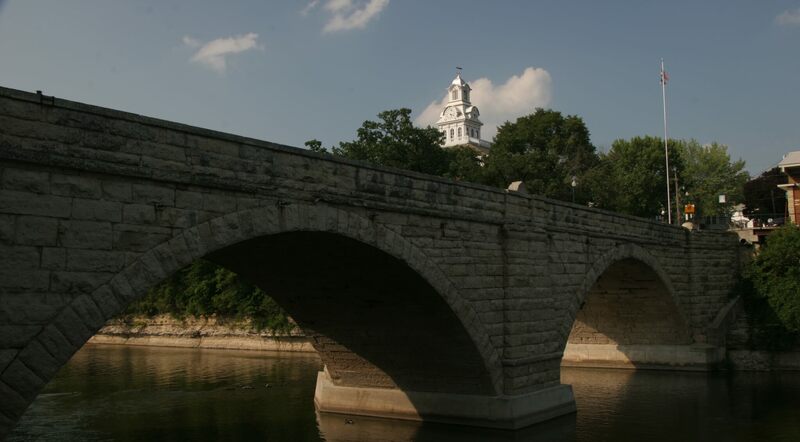 Rural Iowa is the backbone of America and not everything in the Hawkeye State revolves around Des Moines, Davenport, Cedar Rapids, and Dubuque. Rural Democrats are more traditional and don’t necessarily subscribe to the hard-left doctrine that has been taking over the party. A fair amount of those rural Iowa Democrats are NRA members and some – gasp are even Pro-Life. Hubbell was a disaster. I called his HQ several times for a yard sign as I live in a swamp of Republicans (Radcliffe, Hardin County) but it never returned my call or left a yard sign. I am handicapped and do not drive so I could not go get it–I voted absentee for all Democrats–even for Hubbell but I felt abandoned. Only two local candidates came to visit me and ask for my vote. This is insulting to old (I am over 70) and the handicapped who do vote. As a Precinct Cochair in Story County, I wholeheartedly agree with your observations. Even with more population centers and our proximity to Polk County, the whole Fourth Congressional District was starved for resources from the state party and the gubernatorial campaign, which should have provided strong leadership and would have won — except for our Congressional District. Rural Iowans, and rural citizens nationwide, present challenges to all politicians which the Democratic Party is best suited to address. The progressive insurgency emerging across the nation is really recapturing the progressive mojo of previous generations. The Obama campaign showed us all how it is done — make sure you contact all democrats and let them know they are being served by the party. That foundation then helps us push for progressive solutions to a whole host of grievances rural citizens rightly have. In many cases, we need to go back to the 1980s for legislation and regulatory changes Obama and Vilsak championed, but got watered down and then killed by the Trump Department of Agriculture as discussed in this article: https://washingtonmonthly.com/magazine/january-february-march-2019/how-to-close-the-democrats-rural-gap/?fbclid=IwAR2NJODUlS_IOPscWqp7GTYYlRJl55tE5XqqFEpturoKvglMuBoSdEAAWAI. Keep the faith and let us all raise our voices to demand more discipline and organization from the state party. We can help our fellow citizens, of all political persuasions, more than any other political party. We need to understand that, and act upon it without delay.